A DAY IN A COLONIAL HOME. 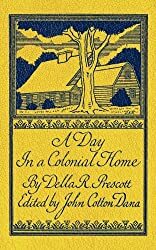 Originally published in 1922, this little book gives a window on life in the Colonial home, where the center of the household was in the kitchen. Includes a chapter on "How to Build a Colonial Kitchen." About Della Prescott (Author) : Della Prescott is a published author of children's books. 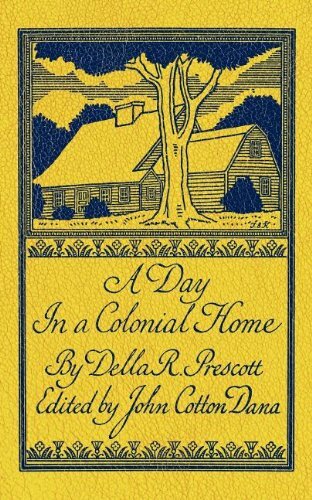 Published credits of Della Prescott include Day in a Colonial Home. About John Dana (Editor) : John Dana is a published author. A published credit of John Dana is Day in a Colonial Home.